Imagine playing any song – loudly or softly – from any room in your house, at the same time, from one system. Dad and Mom can be enjoying jazz in the family room while the teens are rocking in their bedrooms and the kids have the latest Disney soundtrack blazing in the playroom. Your music, your way, fully integrated with a Control4, Savant or Sonos system so you can enjoy music from many sources: streaming services like Rhapsody, Pandora or Spotify, SiriusXM or your iTunes library. You will be able to send music content from virtually any source – your smartphone, tablet, computer – to any room in your house. When guests arrive, they can also stream their music throughout your home. And it all happens with a simple tap on your iPad, touch panel or wireless remote. Whole home audio – heard, but never seen. Unobtrusive speakers are placed in the walls and ceilings, perfectly tilted for optimum listening. Speakers can totally disappear, mounted on fiber panels that can be painted, papered or faux-finished to become invisible on your walls and ceilings. They even go outside to extend your music enjoyment to pool, hot tub, patio, deck or gazebo. Our systems seamlessly blend in with your home decor to play the soundtrack for your life! 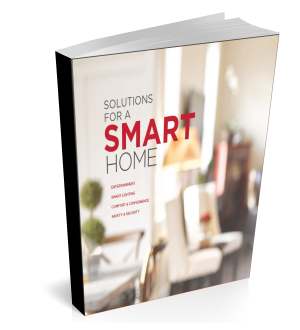 Looking for more information about Home Automation? Explore the Possibilities in this free guide. Contact us today to set up a free consultation, in your home or business. Local Service Areas: Lifetronic Systems of Westport, CT, serves all of Fairfield County, CT, and Westchester County, NY, including: Westport, Weston, Wilton, Redding, Easton, Fairfield, New Canaan, Darien, and Greenwich. We also travel beyond Connecticut and New York upon request.